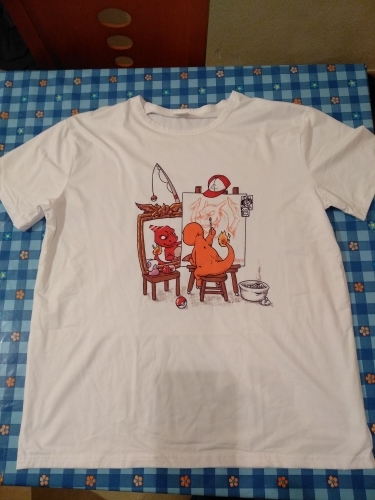 Very soft t-shirt, the drawing is very good without defects, no smell, very happy, it's very funny and nice to touch and i arrive in less than 15 days, good store we will buy again. Thank you so much! I arrive very fast. very nice design. good store! Size perfect, quality excellent material, faithful to the pictures. Top.